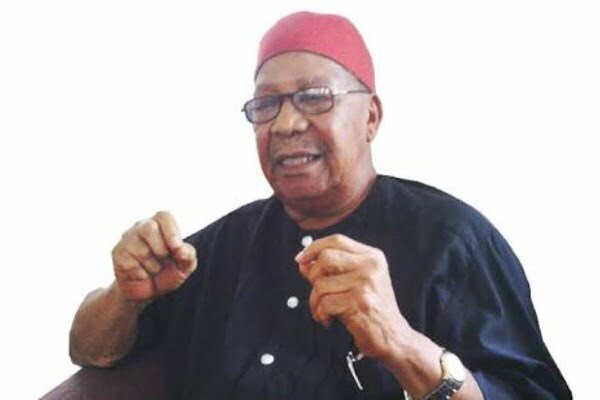 A First Republic Minister of Aviation, Chief Mbazulike Amaechi, has narrated how Igbo leaders were attacked by members of the Indigenous People of Biafra, IPOB, during their meeting in Enugu State. Amaechi described the disruption of their meeting by the IPOB members as unfortunate, advising those who had any reason to protest against any perceived injustice meted out to them to always adopt peaceful means in fighting their cause. It was reported earlier in the week that a summit convened by the Eastern Consultative Assembly, ECA, in Enugu was disrupted by pro-Biafra agitators. The agitators, according to the report, were made up of members of the Indigenous People of Biafra, IPOB, the Movement for the Actualization of Sovereign State of Biafra, MASSOB, the Biafra Zionists Federation, BZF, among several others, forced the event to an abrupt end. Reacting to the incident, Amaechi told reporters that “After my address, I was honoured before I left and there was no objection or murmur from the crowd. “As I was going, I saw a lot of buses heading towards the venue. “Our people should not forget what Zik did for the country.